Hi Friends! 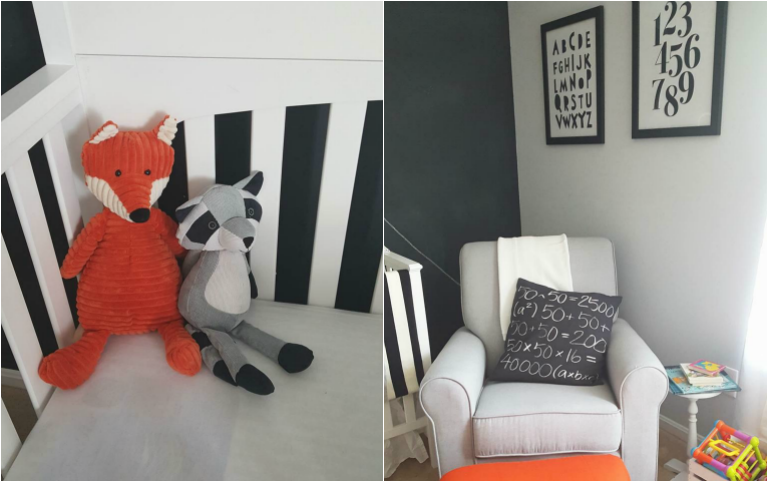 I stumbled across an amazing little modern nursery on Facebook last week and have been chomping at the bits to share it with you! 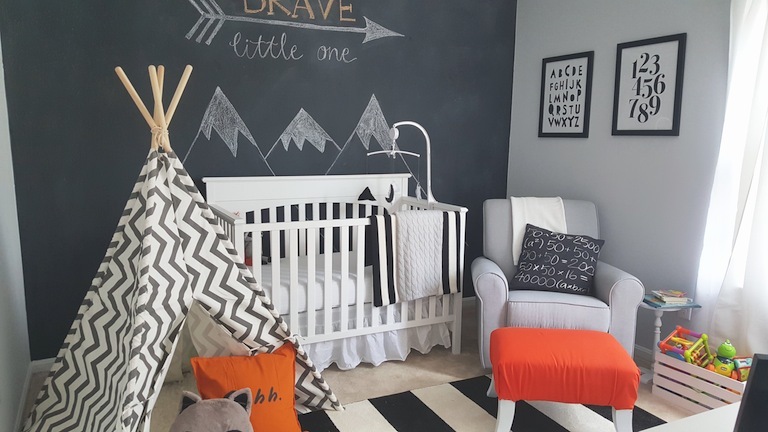 Designed and transformed by fellow mom Myla, this modern made nursery is nothing short of a work of art! 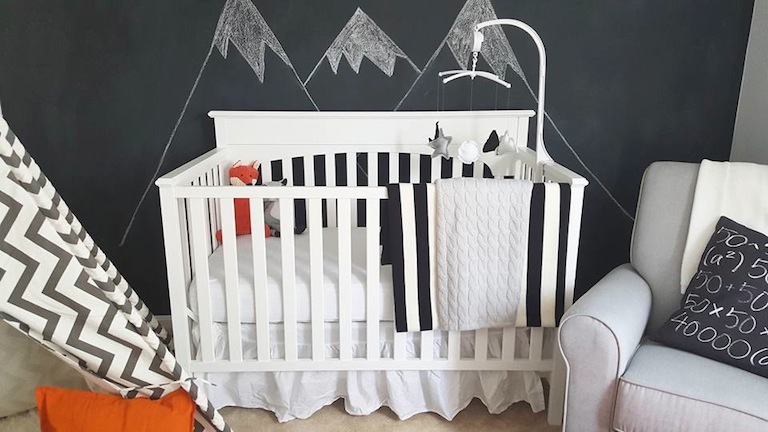 With a beautifully designed chalkboard wall setting the stage, Myla added budget friendly decor and furniture that coordinated perfectly with the theme. 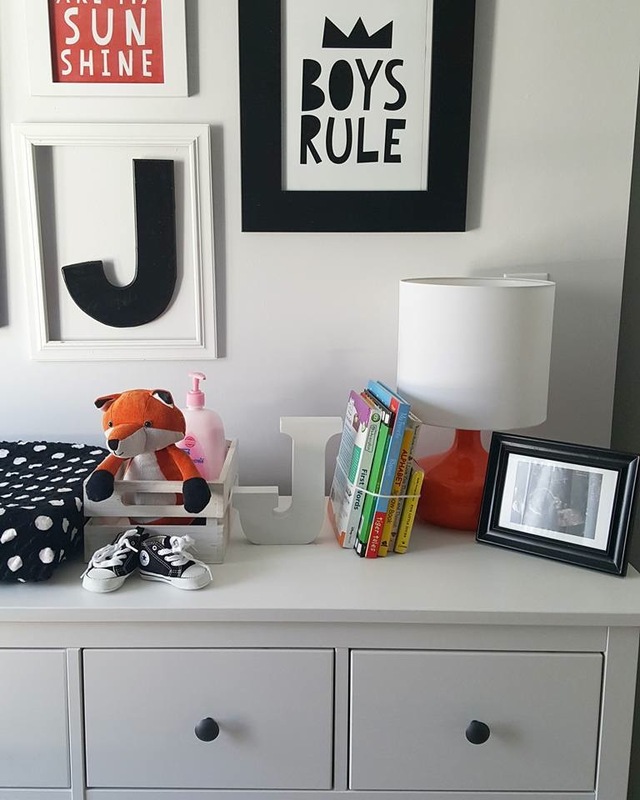 The monochromatic tone with pops of orange is the perfect way to create a bright yet soothing space to bring baby home to. 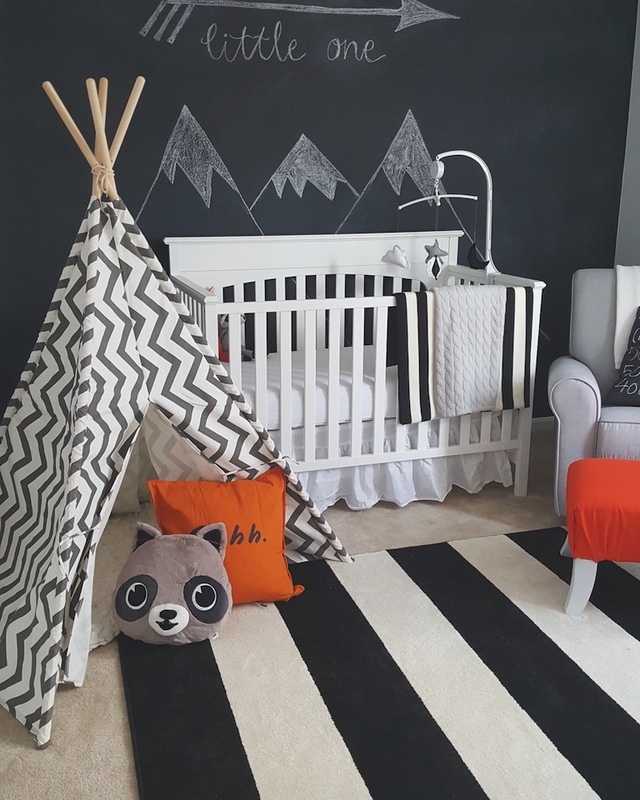 I can't say enough about this modern yet playful baby oasis so I'll let the photos do the talkin'! Wow! 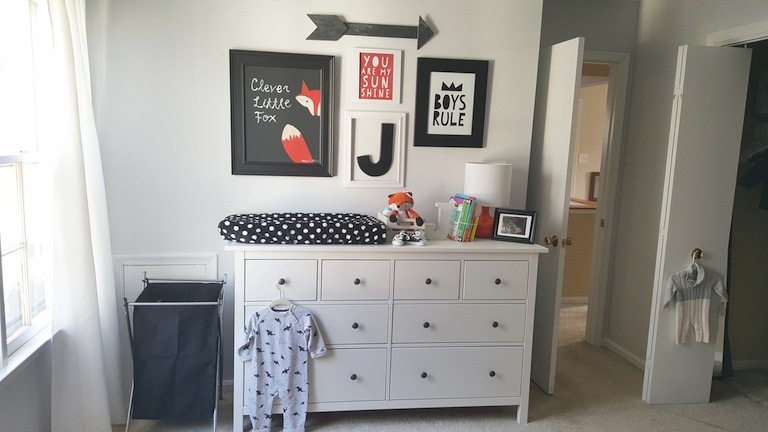 I love this nursery. I was actually thinking of getting the hobby lobby teepee but I haven't seen any reviews. How do you like it? Hey there! Awesome room! 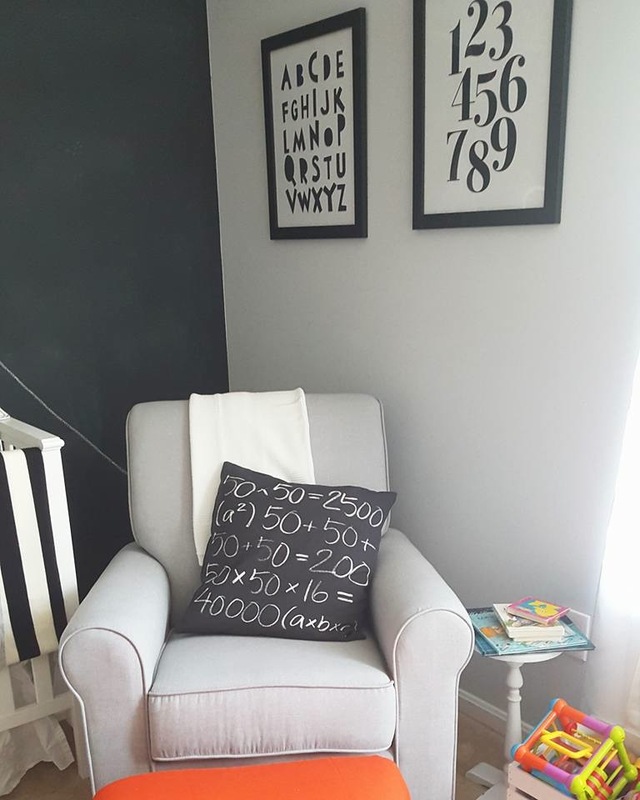 Wondering if you know the name of the grey paint you used on the other wall. And... any info on the chair/rocking chair shown here?